​Since 2010, the average return for our weekly best scoring small caps has outpaced the R2K by an average 716 bps over the following year. The best performers from one year ago are DYAX up 55%, BELFB up 47%, and OZRK up 45%. 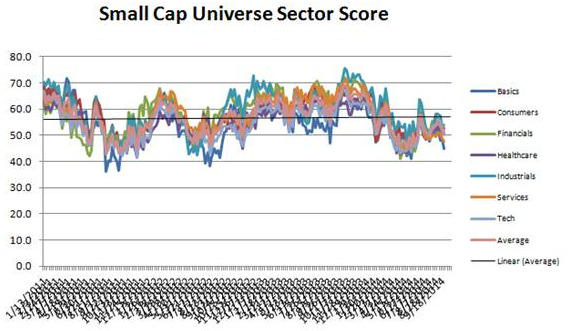 The top scoring small cap sector is utilities. The best small cap industry is railroads. The average small cap score is 50.38 this week, below the four week moving average score of 52.28. The average small cap stock is trading -28.06% below its 52 week high, -4.40% below its 200 dma, and has 8.37 days to cover held short. Utilities, financials, and consumer goods score above average. 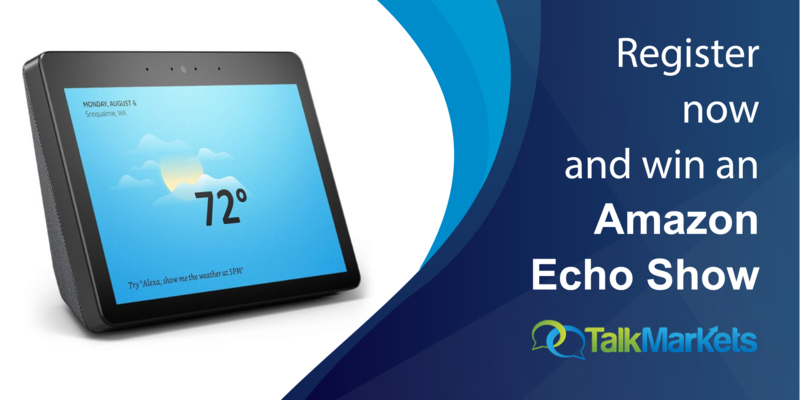 Technology, healthcare, and industrial goods score in line. Services and basics score below average. The top scoring small cap industry is railroads (RAIL, GBX, ARII). Rail volume continues to climb, driving railcar sales. Management services (CRAI, HSII) are attractive as companies continue to outsource and economic activity supports job growth. Diversified electronics (BELFB, SIMO) gain from Internet of Things. Rounding out our best small cap industries this week are computer peripherals (PLNR, ELX) and communication equipment (INFN, CMTL, NTGR). 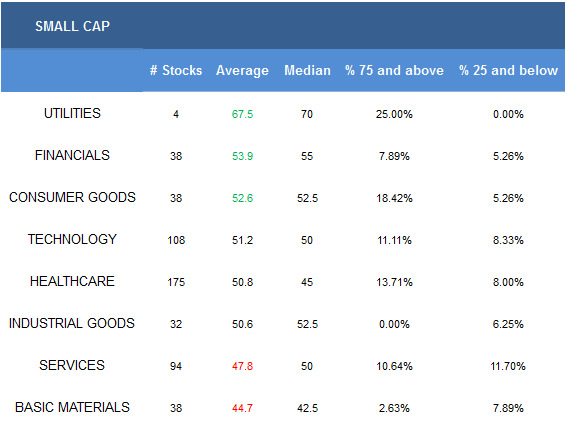 None of the small cap basic materials baskets score above average -- trade up in market cap where possible. In consumer goods, focus on processed & packaged goods BDBD and textiles (PERY, OXM). P&C insurers (HMN, UFCS), regional banks (SNBC, CFNL, LKFN), and S&Ls (BRKL, PROV, OCFC) are best in financials. In healthcare, concentrate on home healthcare (CHE, GTIV) and medical appliances (BABY, CRY, ZLTQ, SPNC, SMA, RTIX). Aerospace/defense (TASR, AIR) scores above average in industrial goods. Railroads, management services, and business services (ARC, FURX, EXAM) are top scoring in services. Diversified electronics, computer peripherals, and communication equipment score highest in technology.